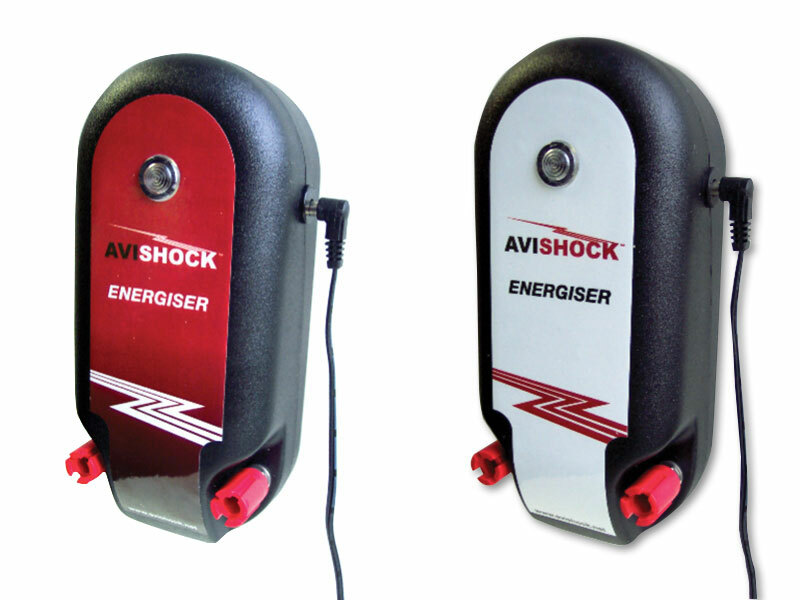 The Energiser sends a pulse of electricity along the Avishock™ track every 1.3 seconds. The pulse lasts only a fraction of a second and is indicated by a quiet click and a small flashing light. The energisers are powered simply by plugging them into a power socket. For added safety, all energisers are supplied with a detachable lead so that can be removed when the system is being worked on. Energisers must be installed in an upright position.The Small Energiser is designed for a run of Flex-Track up to 150 m. The Large Energiser is designed for Flex-Track runs between 150 m and 300 m.